My most successful side project, by far. Created in 2003, Witty Profiles started as a database of witty quotes to be used in AOL Instant Messenger profiles. It grew into a social network, peaking in 2011 with more than 50,000 daily active users and more than 1,000,000 daily page views. It ultimately faded as mobile phones, texting, facebook, and tumblr gained popularity and the need for "away messages" disappeared. Make a packing list for your trip by looking at a visual, categorized list of items. Packing and travel tips for a handful of places I visited. Designed to look like a US National Parks site. Get color palettes by image. Created in 2007, this was one of the first sites of its kind. Uses the flickr API. 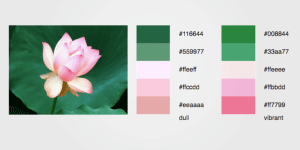 Over 2 million color palettes. Still gets about 70,000 visitors a month. 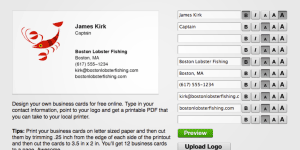 Generate and download business cards. This is a spin-off stand alone site of the degraeve.com business card maker. This and a handful of other similar domains were created in 2008 to test SEO optimized domain names. Still gets over 5,000 visitors a month. Make a 3 panel comic. Created in 2005, this comic strip maker is still quite popular with schools and regularly gets thousands of visitors a week. (retired) Find a gift based on the recipient's age, gender and personality type. Created in 2009 to use Amazon affiliate links. I was particularly proud of this one because as users browse through gifts, data is collected and used to recommend gifts to subsequent users. I also thought the name was pretty good. (retired) Find gift swap items by price. Very popular between Thanksgiving and Christmas. This successful site is what got me kicked out of the Amazon Affiliate program. (retired) Make a favicon online. 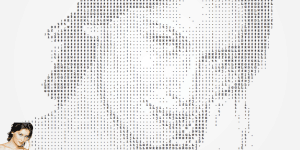 Named for the 16x16 grid that favicons originally used. This site had daily contests to create a favicon for a given theme. (retired) a very popular Buddy Icon Maker. Originally created back in 2002 as BuddyIconMaker.com, this site let users make icons to use as avatars for AOL Instant Messenger (AIM). This was also my first attempt at making money online. Users could buy a membership that gave them access to premium templates for $5. This site has been irrelevant since texting replaced IMing in 2005. (retired) Embeddable charts to show where you share online. Created in 2009. This was an interesting exercise in learning how to read and maintain huge collections of RSS and Atom feeds from places like flickr, last.fm, del.icio.us, twitter, and youtube. (retired) displays the top selling gourmet items on Amazon. Created while I was learning the Amazon API and to generate affiliate sales. A throw away project, really. Never made a penny. (retired) Compose polyphonic ringtones, generate a midi file and download it on your Nokia or equivalent dumbphone from 2005. Created in 2005 when polyphonic ringtones were all the rage. I learned WML for this project so the primitive phones could access the pages and download the midi files. (retired) Create and share your wish lists. Created in 2006 to use Amazon affiliate links and Google adsense. (retired) a forum for getting and giving advice, but the liability of hosting that type of site lead me to quickly shut it down and change it into a simple "proverb of the day" site. (retired) T-shirts for sale with designs I made back in 2003. Amazingly, I still make one or two sales a month. Fat Camp, Crap, and Event Staff are popular. where are you in your physical, emotional, and intellectual cycles? translate text or web pages to silly "languages"
make some ugly html coded faded letters for your homepage circa 2002.
how many words can you make from the word "Thanksgiving"? Win at scrabble. If 45 people are coming to your 5 hour party, how much ice, bottles of beer, and cocktail napkins do you need? How many minutes does it take a cupcake to bake? What is the binary value of the vertical tab? How much is a first class stamp in the US? What does %2D mean again?